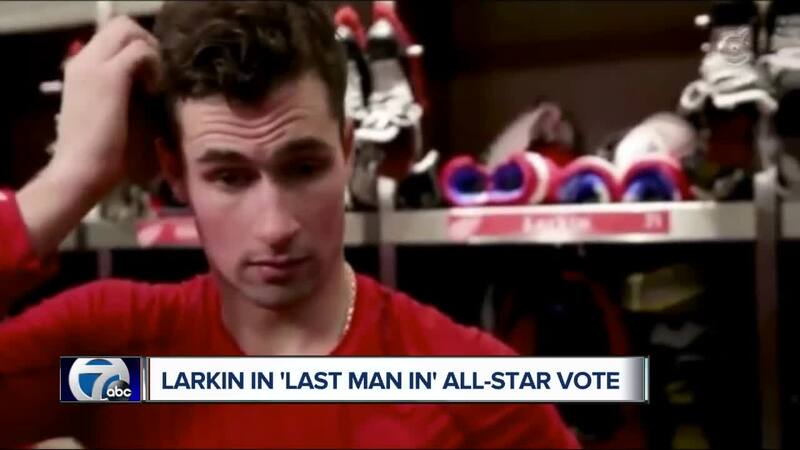 Dylan Larkin in 'Last Man In' All-Star Vote. Brad Galli has more. DETROIT — Dylan Larkin can still make this year's All-Star roster. Larkin, who's playing at an All-Star level for the second straight season, didn't make the initial roster for the star-studded and forward-heavy Atlantic division team. He has 17 goals and 22 assists in 41 games for the Red Wings. Jimmy Howard made the roster as the team's representative. It's Howard's third All-Star selection.